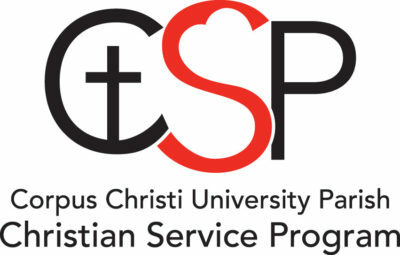 The Christian Service Program (CSP) is launching a new service initiative in 2016 in Petén, Guatemala in partnership with SewHope. The goals of CSP’s international component are to commit to causes, see tangible results, build relationships, and immerse ourselves in the life, culture, and poverty of another country. 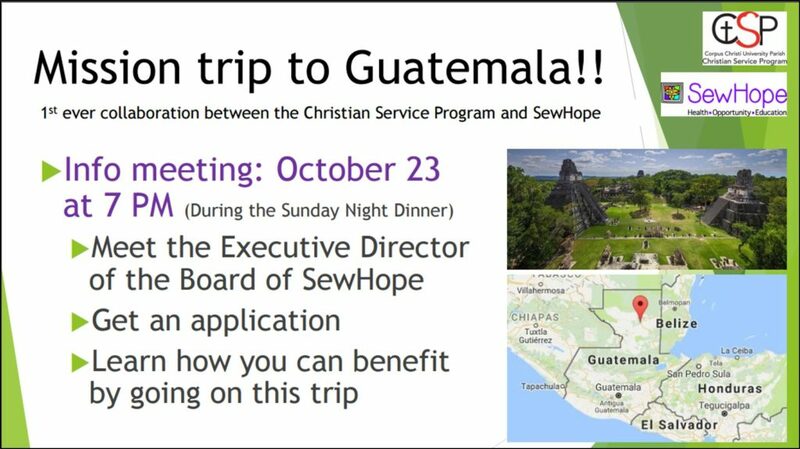 SewHope provides Health Care, Nutrition, Education, Spiritual Growth and Opportunity to marginalized people in Guatemala. They believe that sharing God’s love empowers others to find sustainable solutions to the injustices of poverty. Students are invited to consider joining us for this ground breaking trip. Come to the info meeting, Oct. 23 at 7PM during the Sunday Night Dinner. Any questions prior to the meeting can be sent to Kimberly Myers, the Director of the Christian Service Program (kmyers@ccup.org).